MAGIC IN YOUR GLASS. 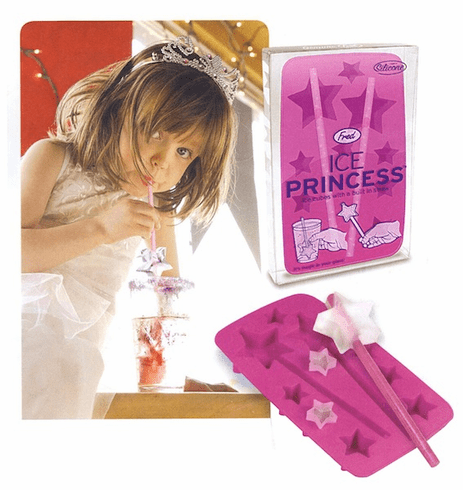 This perfectly pink ice tray creates magic wands fit for a fairy princess - sparkly, glittery resuable drinking straws with star-shaped ice cubes at the tip! What little girl could resist? ICE PRINCESS is made from 100% pure food-grade silicone with freezer-safe straws.